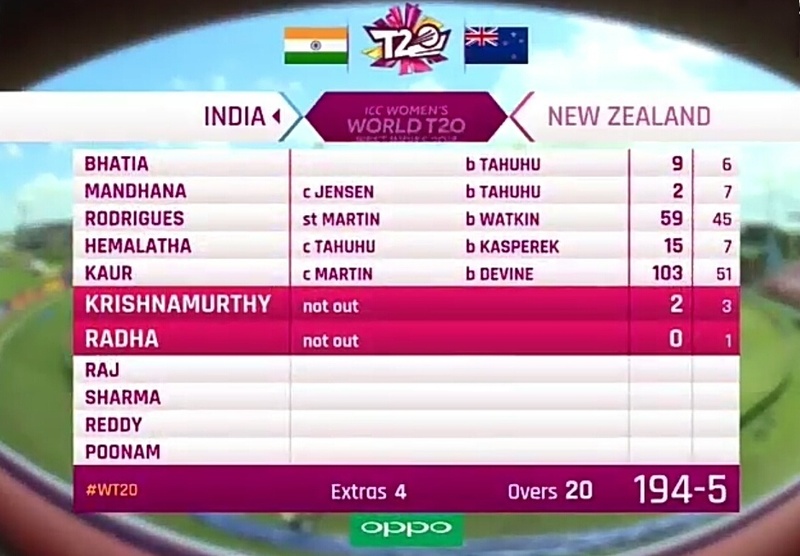 The Women's World T20 has already started today on November 9th, the opening match is being played between India women's team and New Zealand Women's in Antigua, West Indies. Earlier, Indian T20 captain Harmanpreet Kaur won the toss and decide to bat first. Batting first, India had a poor start by losing 3 wickets inside the powerplay at the score of 40/3 in 5.4 overs. 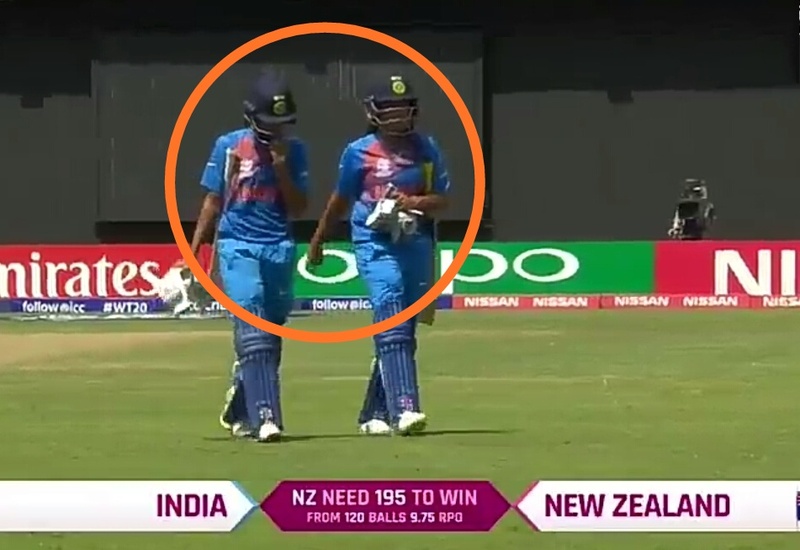 Later, the 18-year-old Rodrigues and Harman added massive 100 plus partnership for 4th wickets to take India to a huge target of 194/5 in 20 overs. Indian women's team captain Harmanpreet who is knowm as Lady Sehwag has proved once again why she is the most explosive female batter in the world. 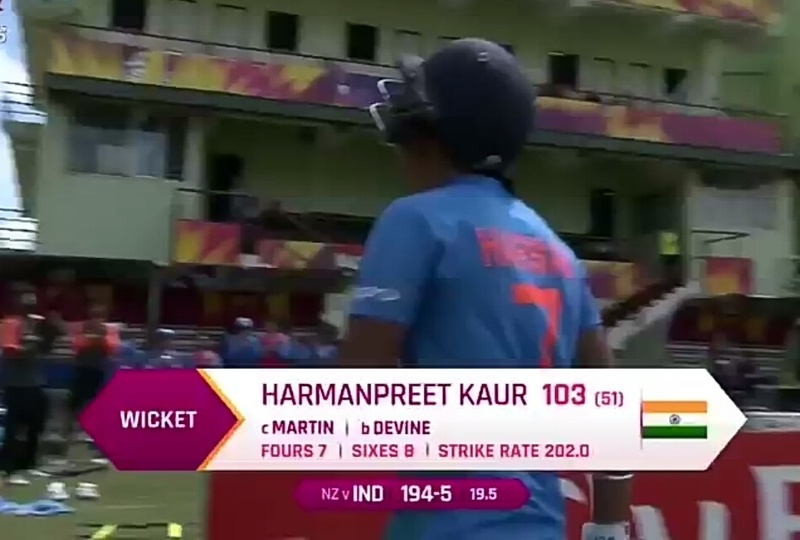 Harman scored, 110 runs of just 51 balls, during this time she smashed 7 boundaries and 8 massive sixes, with an astonishing strike rate of 201.96. Apart from Harman, Rodrigues played important knock of 58 of 45 balls with 7 fours. 1. Harmanpreet Kaur became the first woman batter to score a century in the Women's T20 World Cup. 2. She has become the third player to score a century in the T20 World Cup. 4. 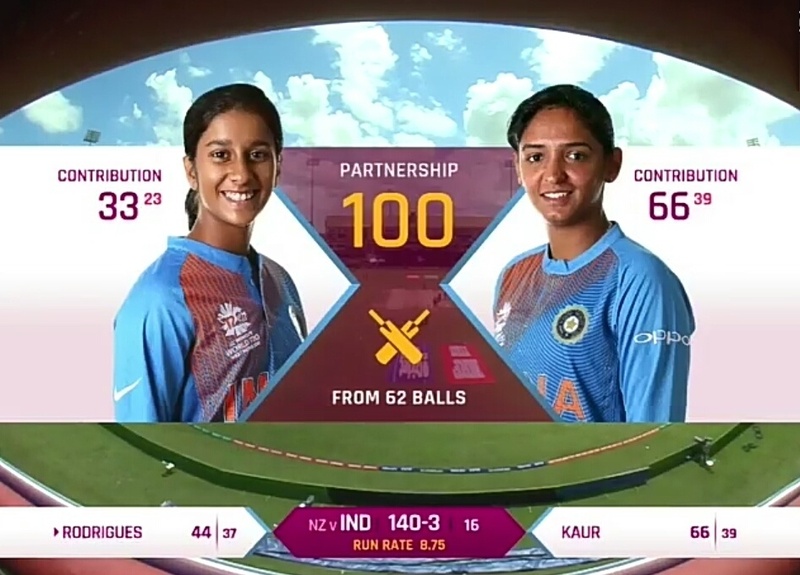 Highest partnership in T20 World Cup of 134 between Harmanpreet Kaur and Rodrigues. 5. Harmanpreet Kaur scored 101, with the she becomes the first India female player to score a hundred and highest individual score in T20ls. Congratulations Harmanpreet Kaur, your the country's pride.